When building performing arts spaces, our team’s commitment to quality and focusing on the details is what makes these facilities truly great spaces that inspire. Some of the most challenging elements of getting performing arts spaces just right are keeping sound where it’s supposed to be—and not letting it travel anywhere else, the craftsmanship required to meet high levels of architectural detail, and team communication! In buildings that house performing spaces where there can be a number of different adjacent uses, it’s essential to keep sound where it belongs. There are a number of measures that can be taken to achieve a high STC (Sound Transmission Class) rating, which designates a material’s ability to resist airborne sound transfer, such as multi-layer floors, preventing vibration, sealing all possible acoustic penetrations, isolating walls, and reflective ceilings. In addition to keeping the sound of music where it’s intended, reducing potentially distracting noise from mechanical systems is also important. Sound dampening, acoustical insulation can be used inside and out on mechanical systems. Oversize ductwork allows for slower airflow and results in a quieter system. MEP/FPs can be isolated from the building structure using vibration isolation hangers and neoprene waffle pads. 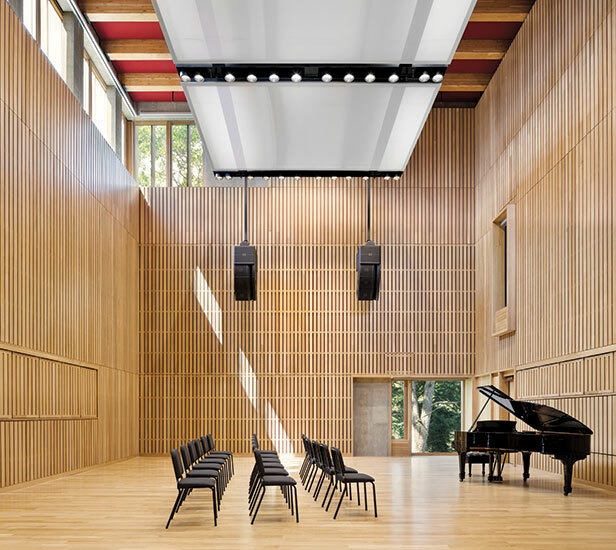 When working on Wellesley College’s Pendleton Hall on a renovation and addition, the millwork in the salon and rehearsal hall was used both for its aesthetics and acoustic purposes: it has a layer of insulation, acoustic panels, and a layer of wood slats. The slats in the walls allowed exhaust air to pass through this millwork system to keep the volume at desired levels in the space, while still providing comfort and humidity control. To ensure the complex mechanical systems would fit within the space while working on Yale’s Adams Center for Musical Art, our builders performed a laser scan of the existing building and then electronically added pieces of the mechanical system into the job. That study resulted in adjusting the ceiling height to better accommodate the mechanical systems. 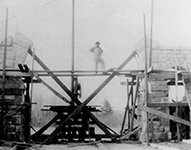 On Wellesley’s Pendleton Hall, the project’s predominant building material was concrete because of its acoustic properties. However, the design called for the concrete treatment to look like wood, complete with shadow lines. It was important to find the right tone and texture, so our team custom-made the concrete in batches and created “tombstone” samples to ensure each batch blended seamlessly and met the architect’s goals. Similarly, Wellesley’s Pendelton Hall project had a number of linear elements that required careful attention by our team. The architect wanted to ensure that anywhere someone looked inside the building, the linear properties converged properly. From the lights to the soffits, to the wall mullions, all had to be perfectly aligned on the proper horizontal or vertical plane to create the desired aesthetic. Our expert team of craftsman took the time to understand the desired outcome and delivered. Coordination between the design and engineering team and all construction trades requires patience and commitment on intricate construction projects. 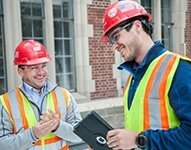 A construction management tool, co-location— establishing a shared physical location where all members of a construction project team collaborate– helps ensure team communication across all trade specialties and creates a forum for discussing careful planning and coordination. Seemingly a simple concept, it’s critical in our highly detailed projects and only truly works with foresight and commitment. 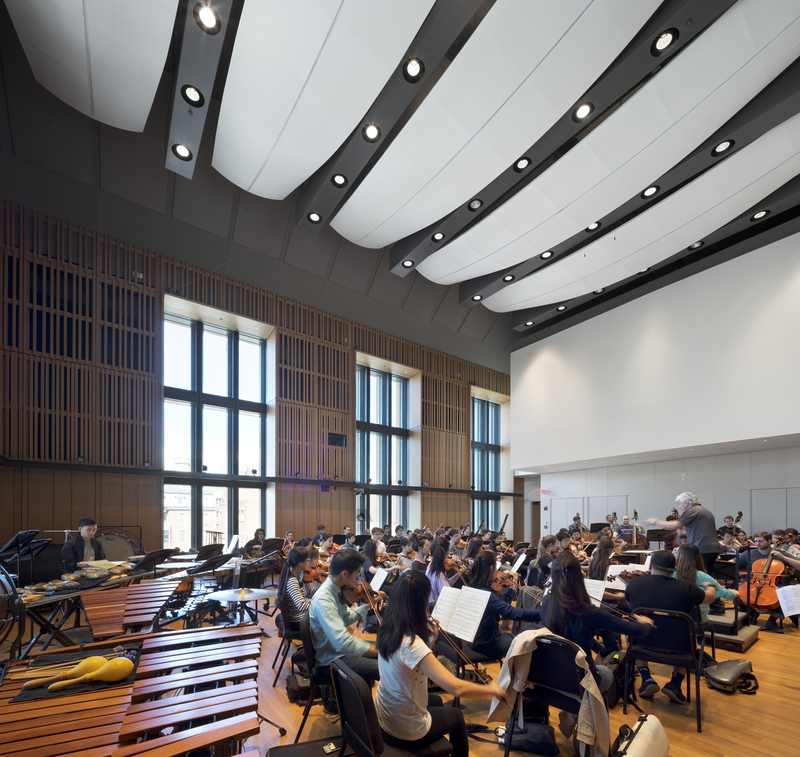 As an example; to ensure all of the trades were closely coordinated during our work on Yale’s Adams Center for Musical Arts, our team co-located twice a week with the design, engineering team, and subcontractors.